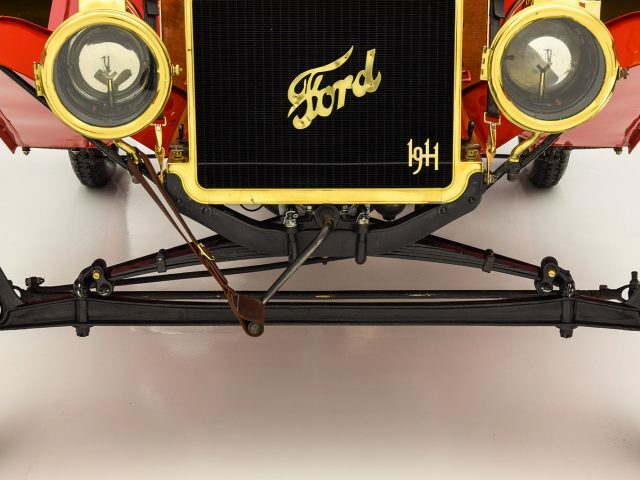 Arguably the most significant and revolutionary automobile ever produced, the Ford Model T needs little introduction. 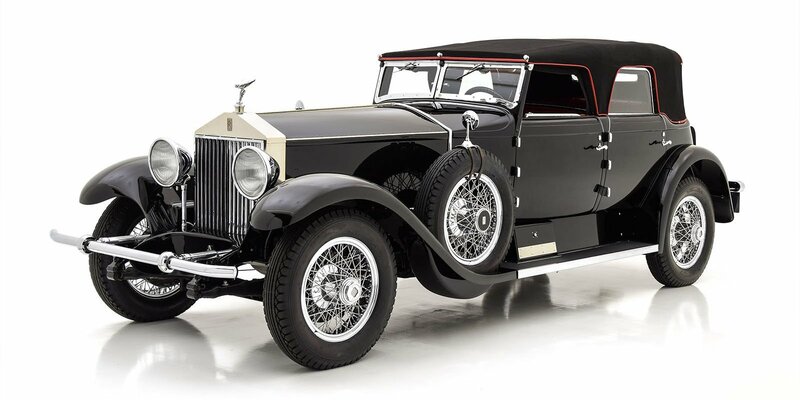 As much a cultural icon as an automobile, it put the world on wheels and transformed the motorcar from a frivolous luxury into a necessary tool for living in America. The Model T owes much of its success to Henry’s moving assembly line, which meant it could be produced in numbers previously unimaginable by any other car company. 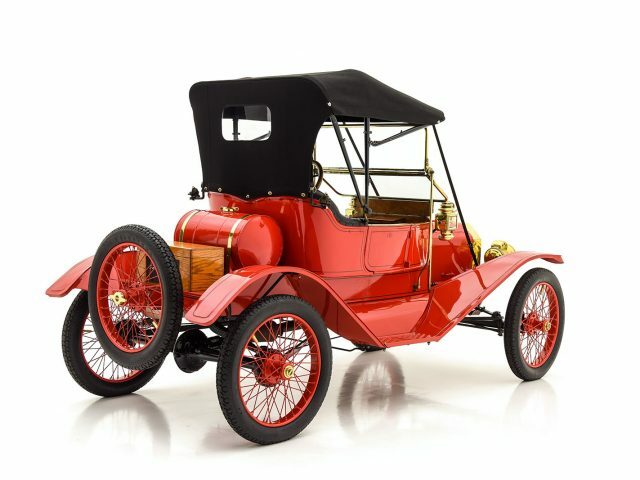 Preceding models such as the Model S or Model K approached 10,000 units, while the Model T topped fifteen million by the time production ended in the late twenties. 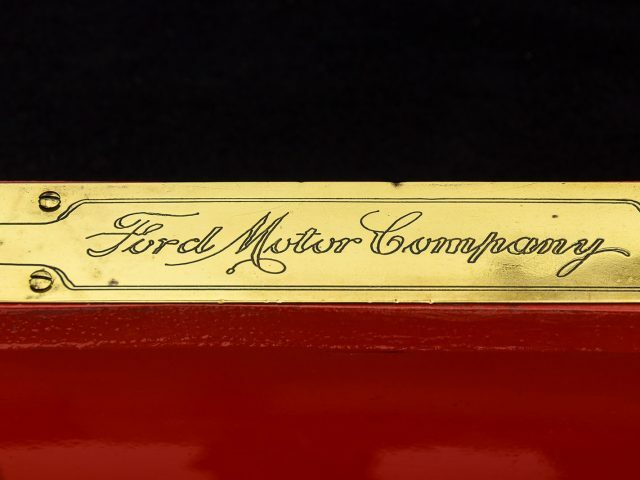 The ripple effect of Ford’s success shaped entire cities and altered the face of labor in America forever. 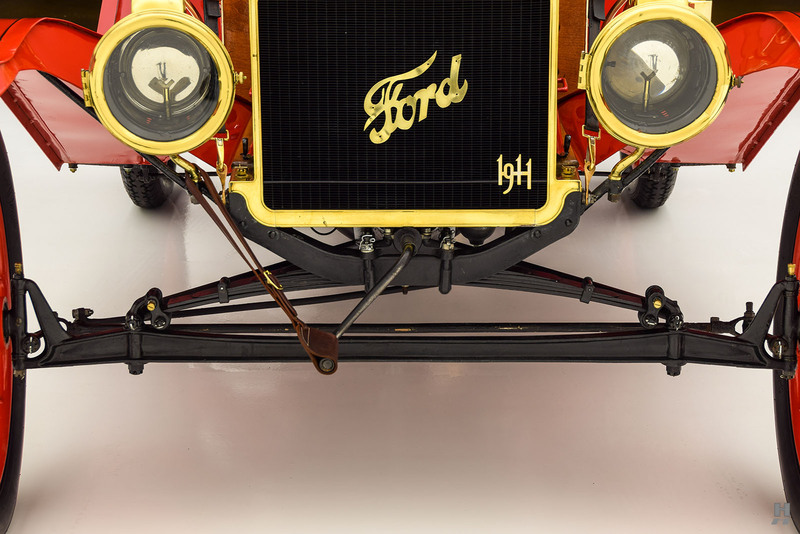 For all of Henry Ford’s business acumen and his stroke of genius by developing the moving assembly line, he was also quite a pragmatist when it came to engineering. 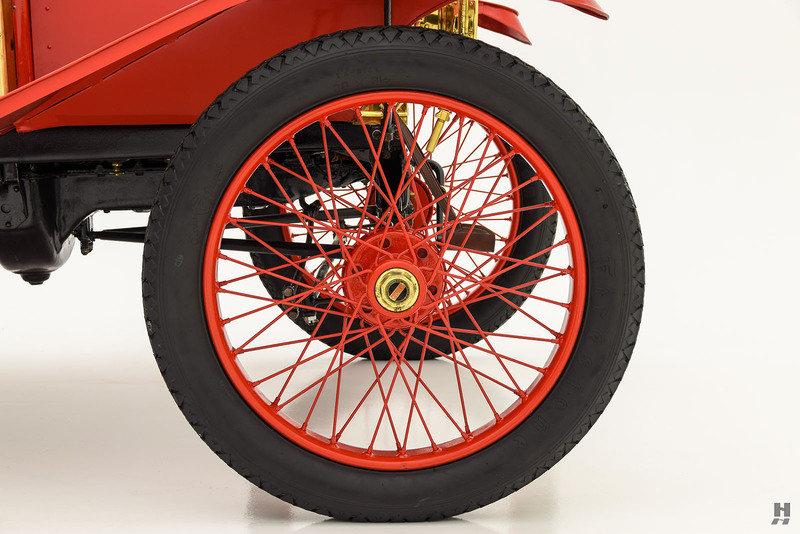 Design wise; the T wasn’t necessarily an innovative machine. 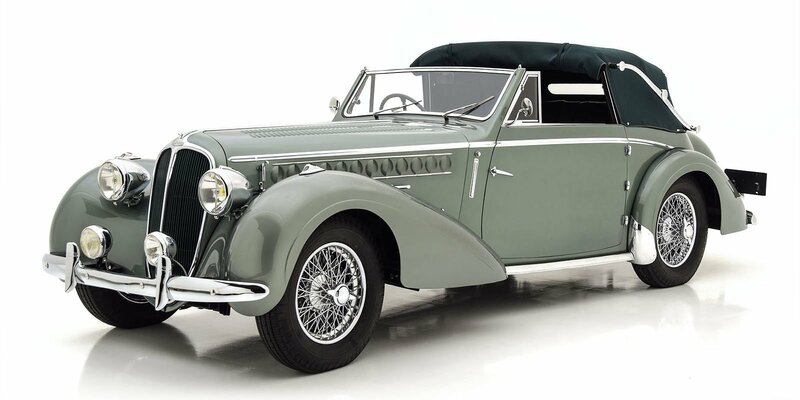 But it was robust, enormously versatile, easily serviced and above all, affordable. 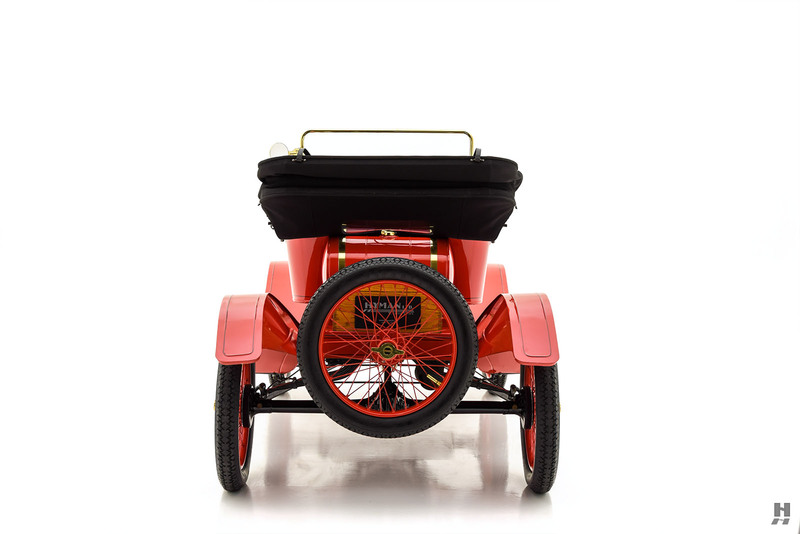 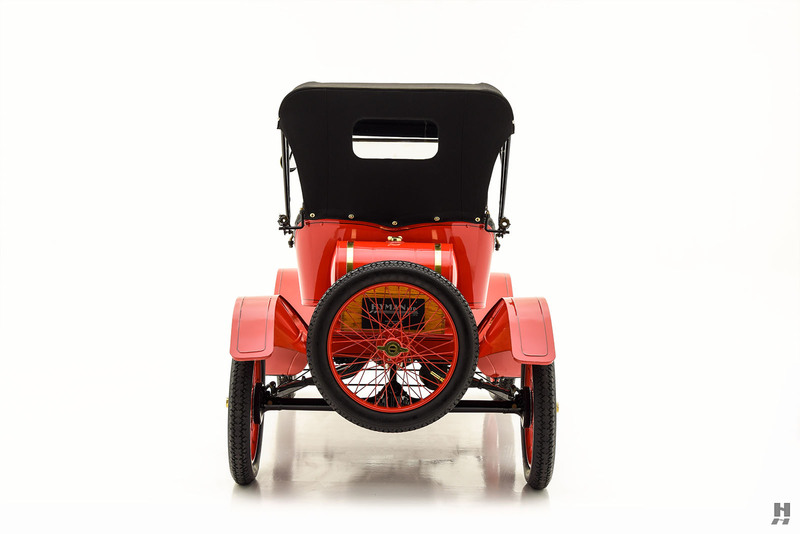 The basic formula of the Model T was unchanged from its introduction in 1909 through the end of production in 1927. 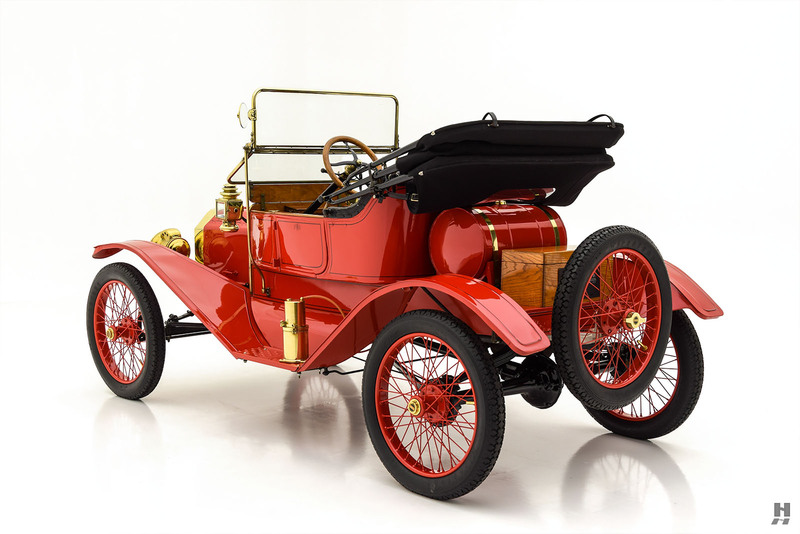 However, a dizzying array of evolutionary changes occurred throughout the production run to improve reliability and production efficiency. 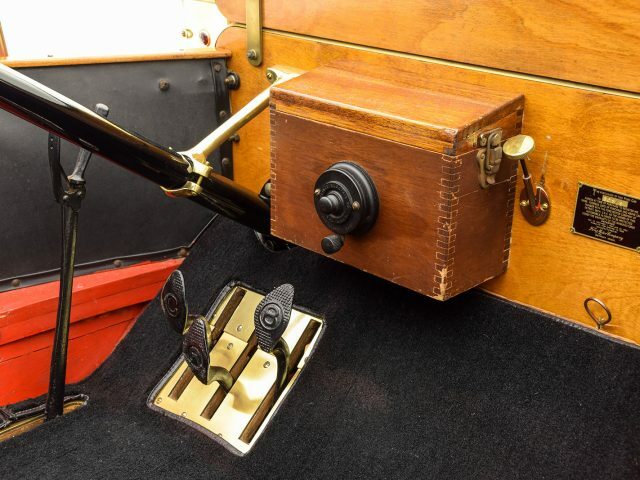 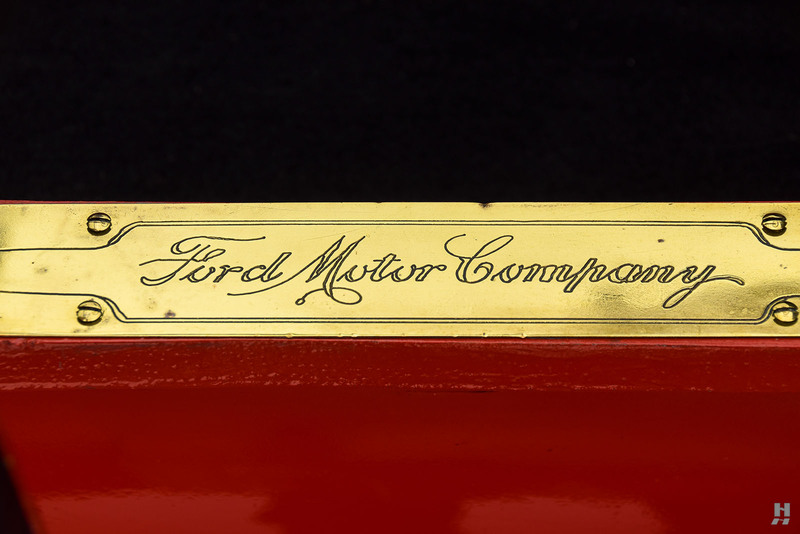 Among the most significant distinctions between early and late models was the use of brass. 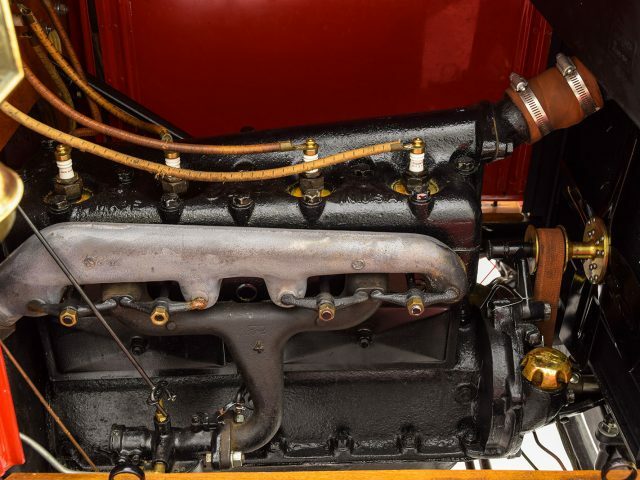 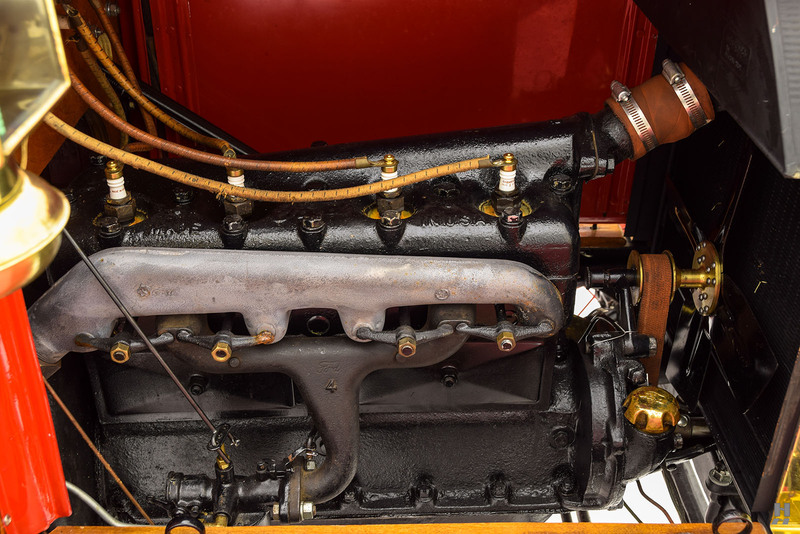 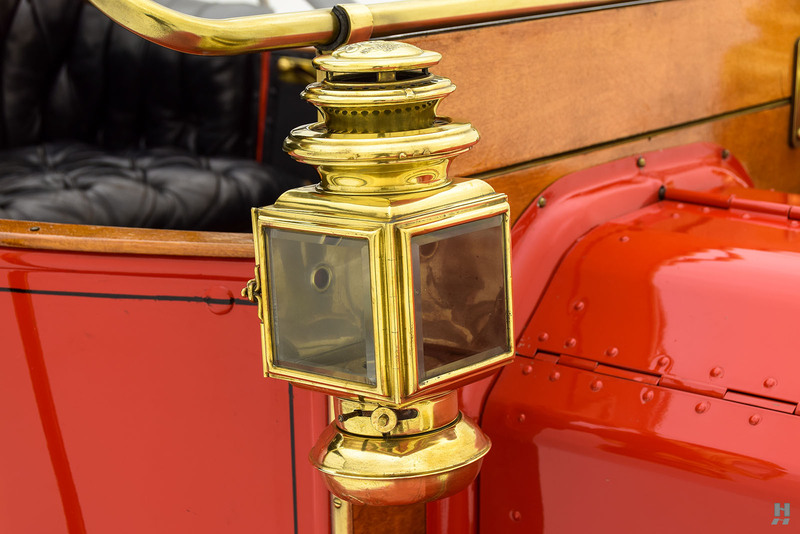 Brass featured more readily on cars built before mid-1916, while later models featured more austere looking painted-steel radiators and nickel-plated bright work. 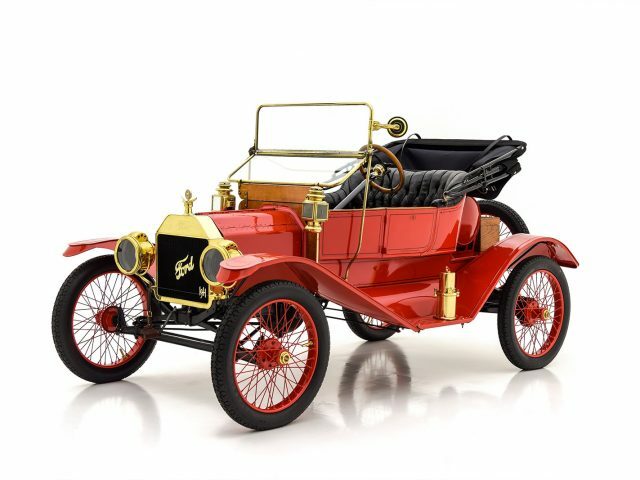 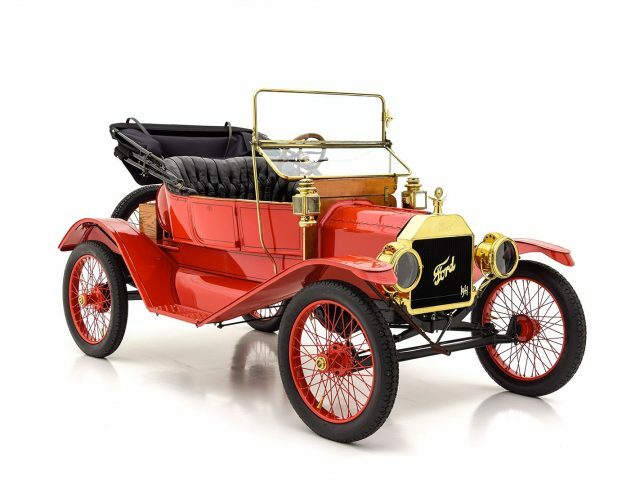 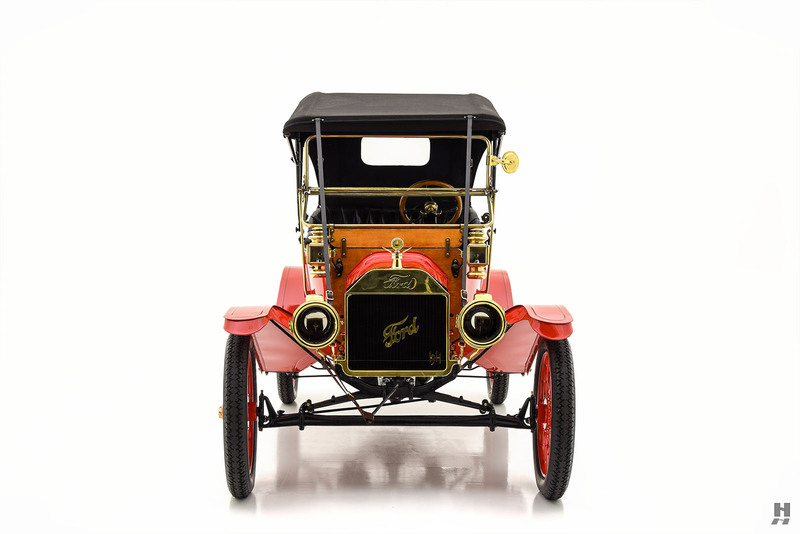 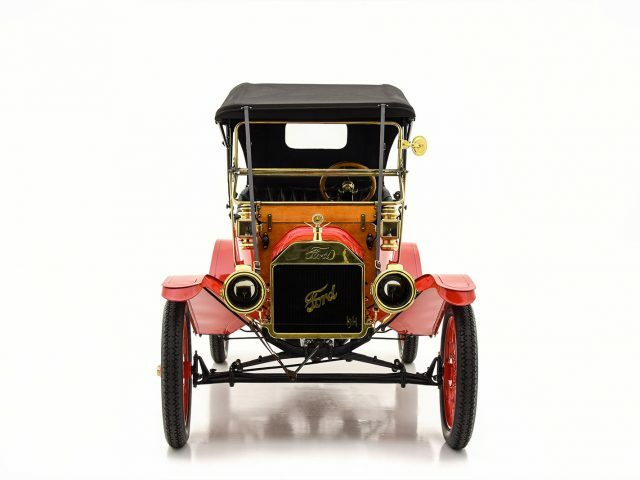 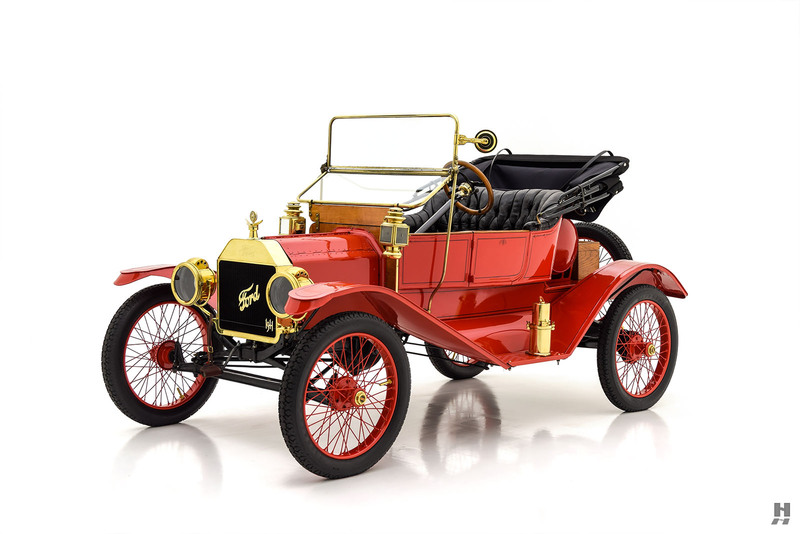 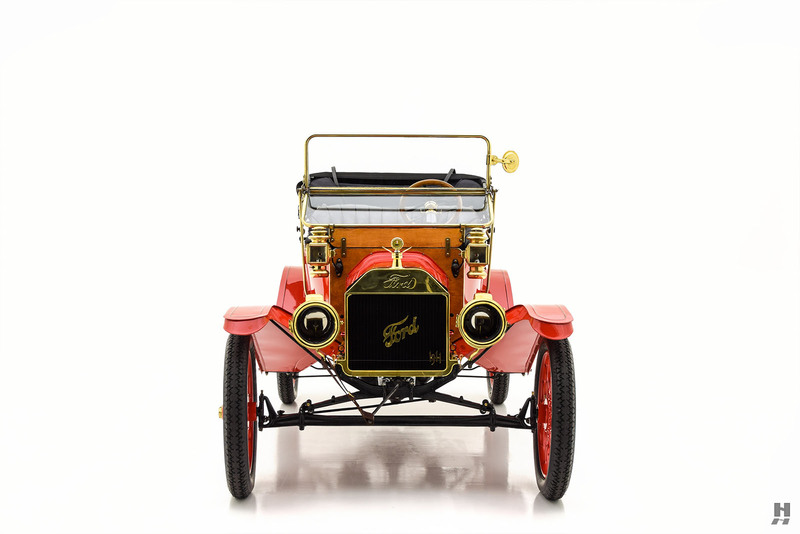 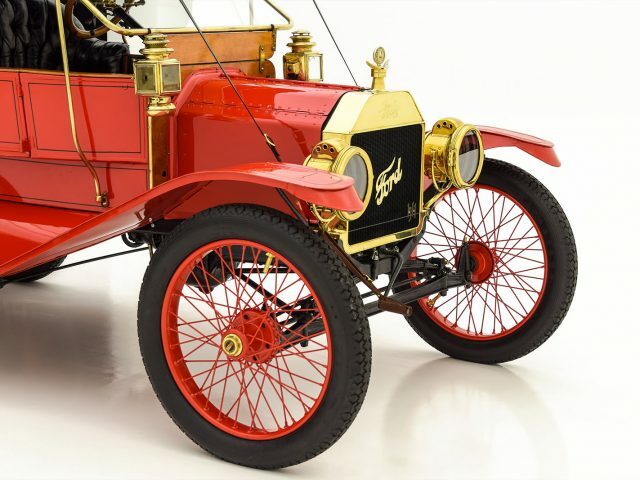 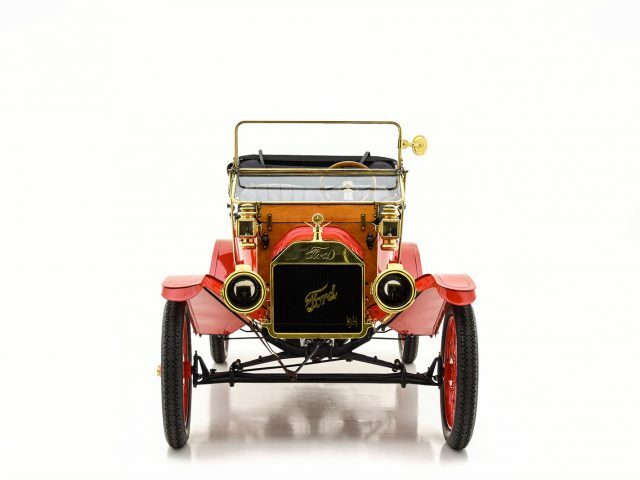 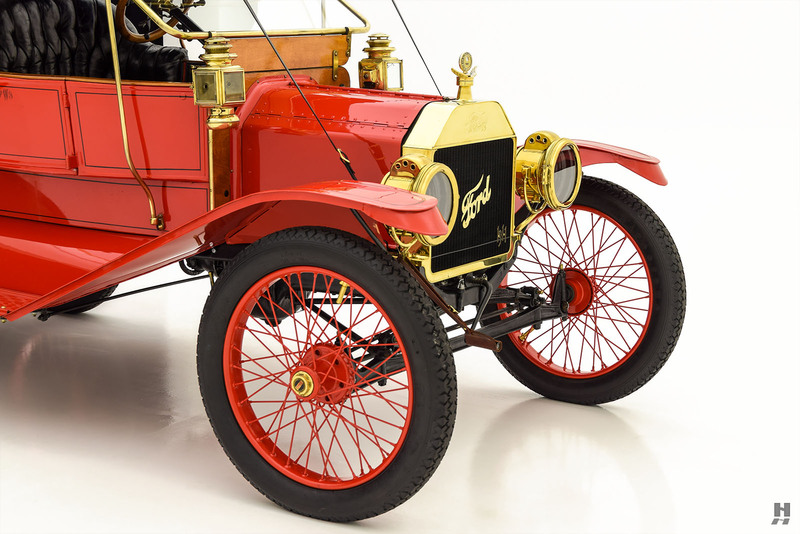 Despite the humble roots, the Model T remains one of the most essential of all collector cars, and examples are found in museums and private collections the world over, standing proudly among many more glamorous machines. 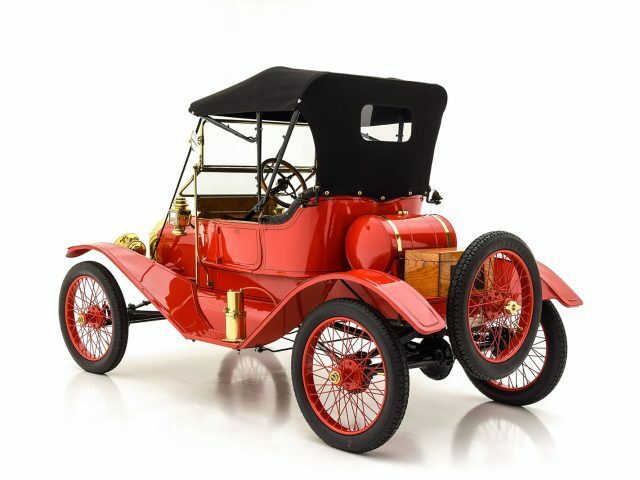 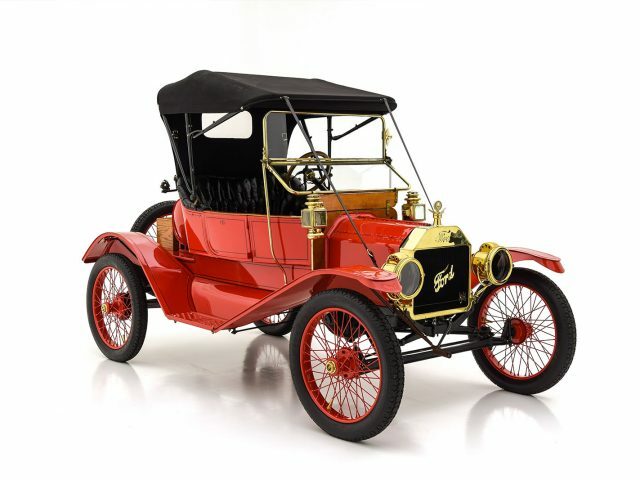 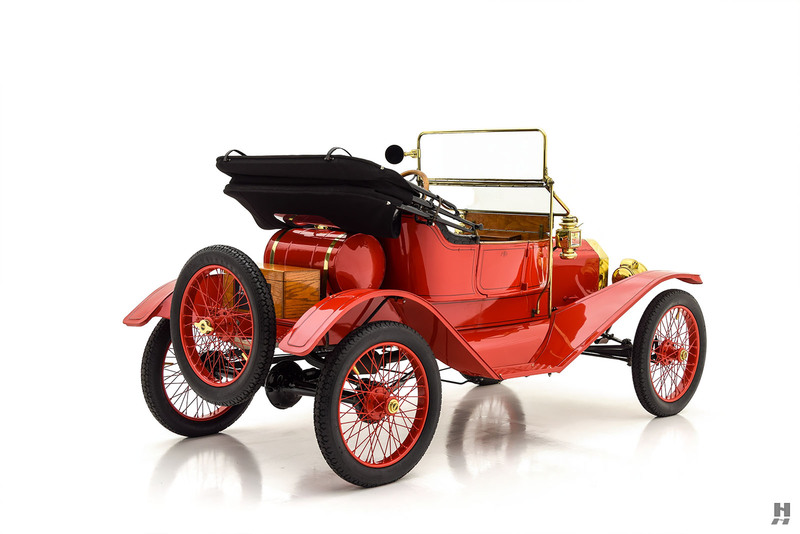 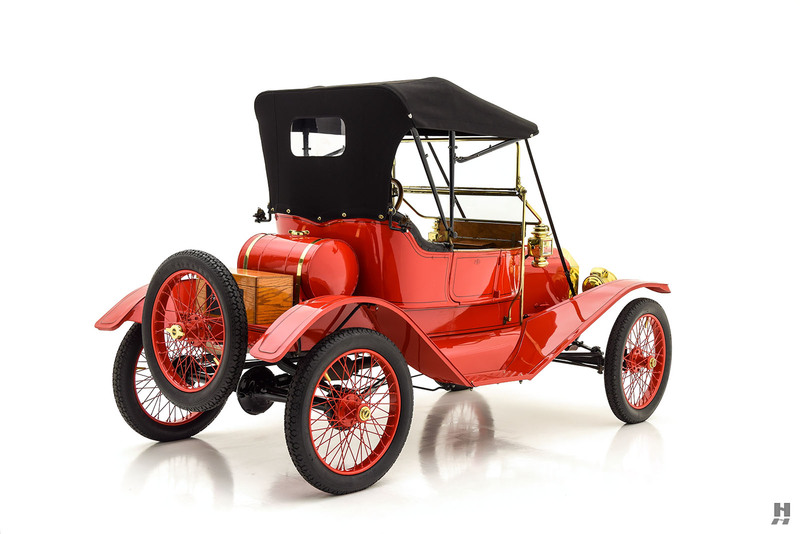 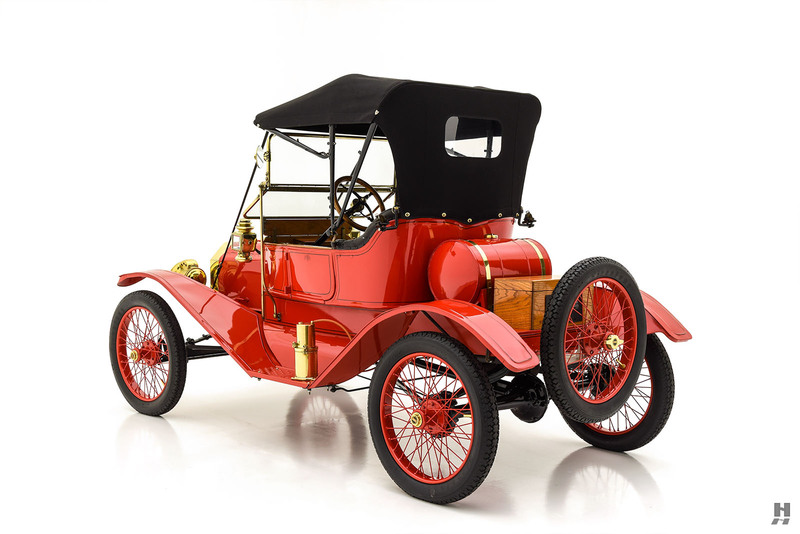 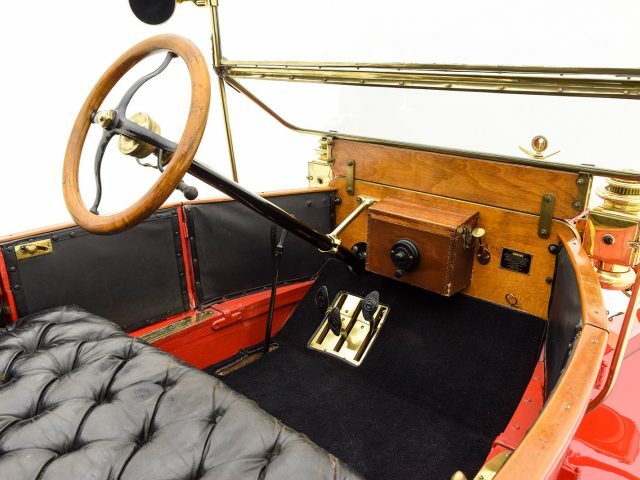 This 1911 Model T is a very desirable early model featuring the Torpedo Runabout body. 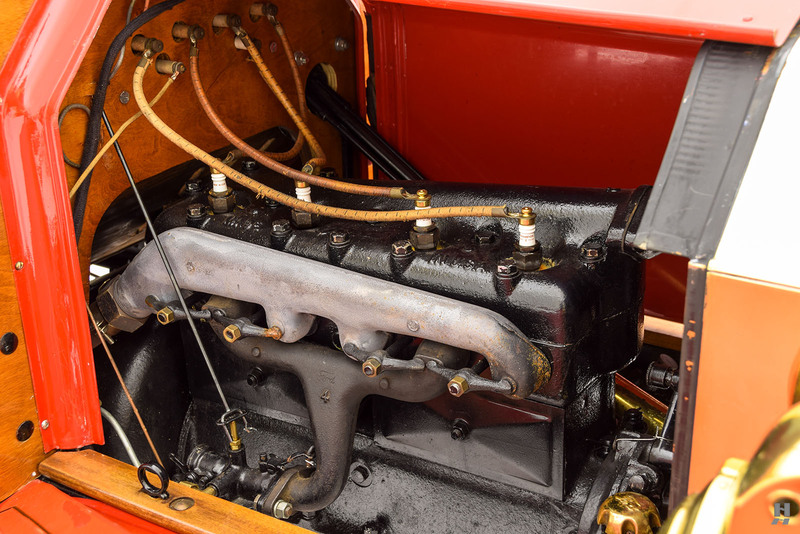 Wearing an older, but nicely maintained restoration, this is an attractive and enjoyable example for the hobbyist and collector. 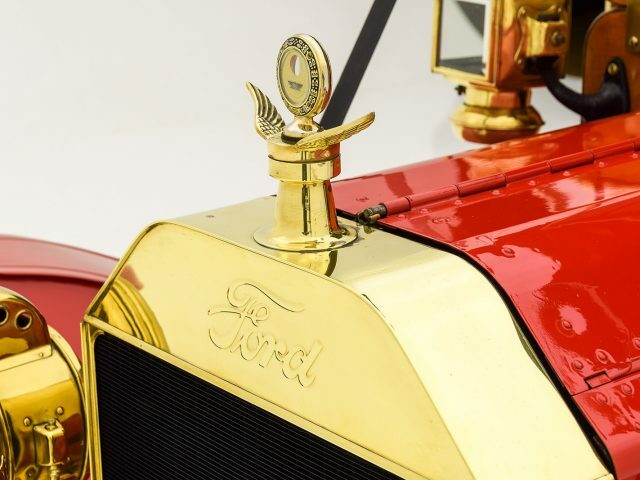 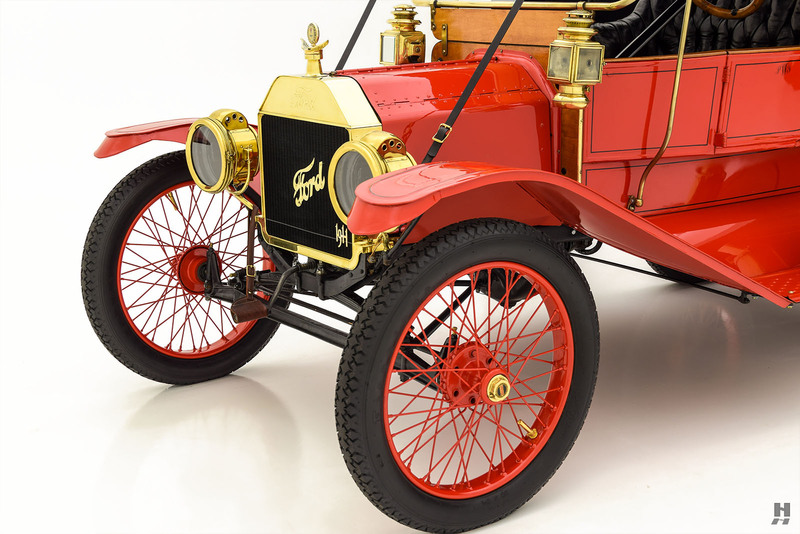 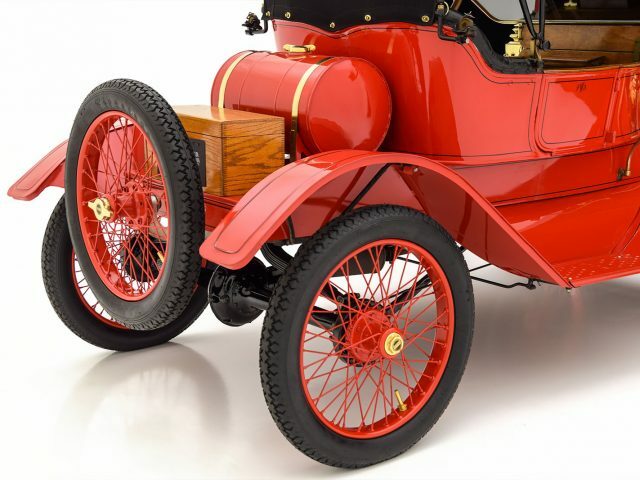 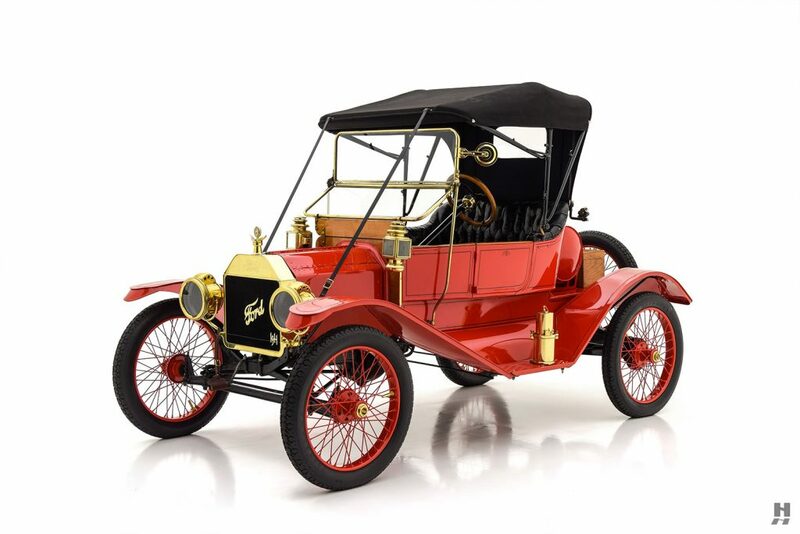 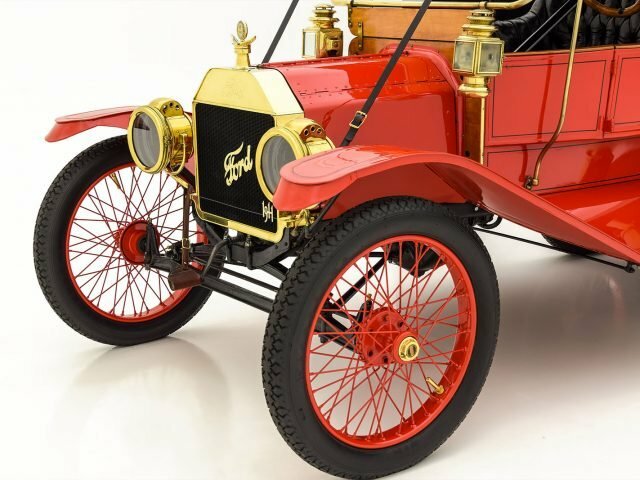 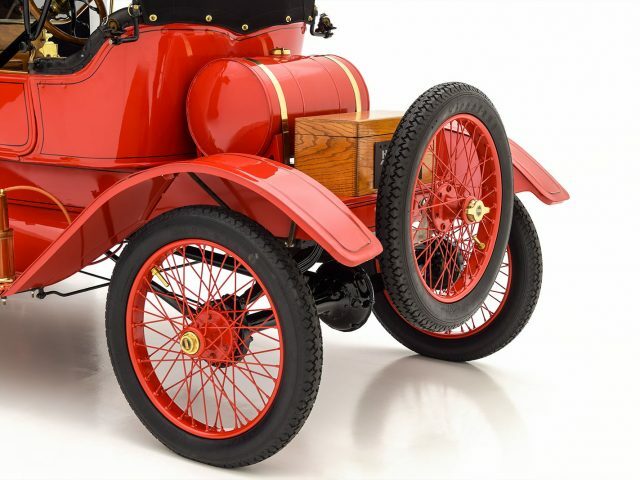 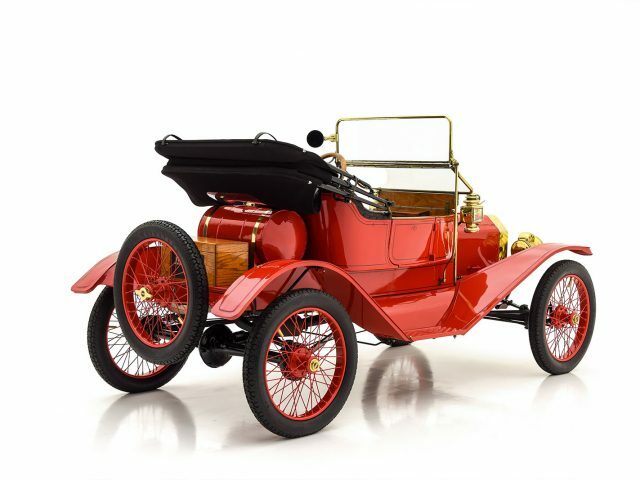 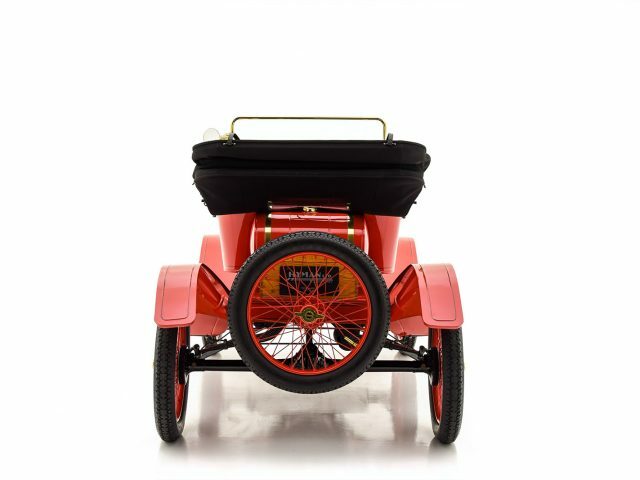 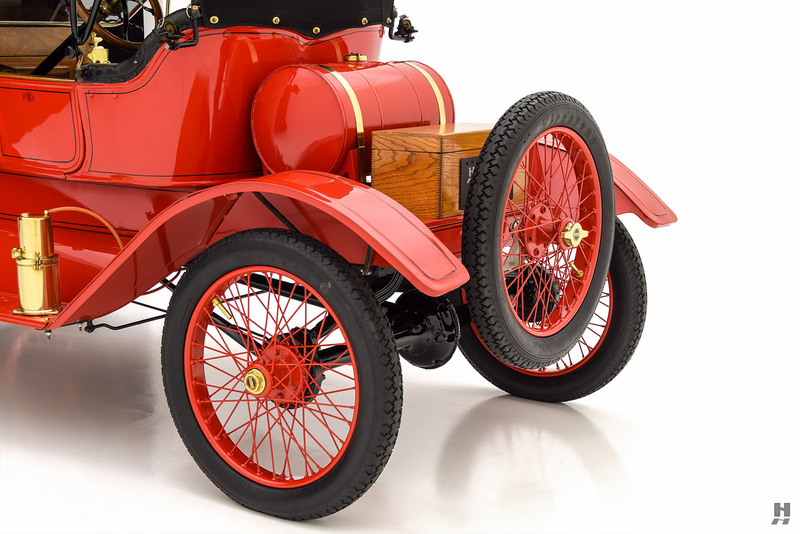 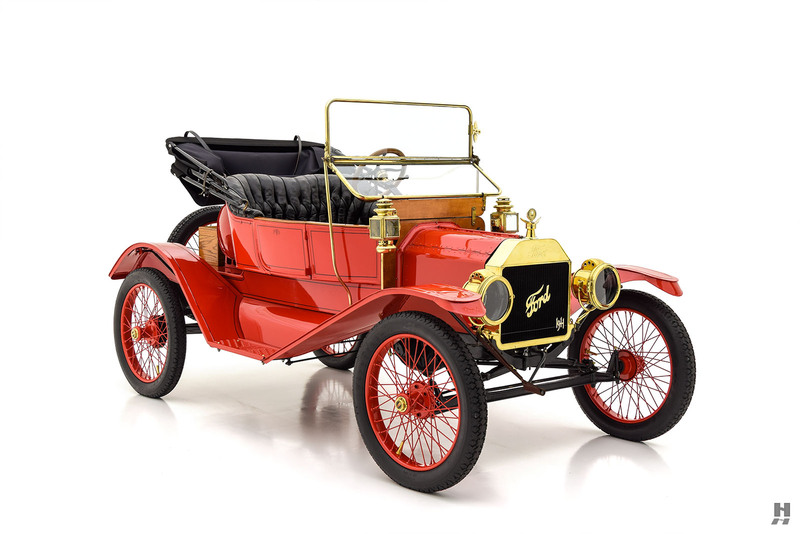 For the 1911 model year, Ford completely redesigned the Model T range. 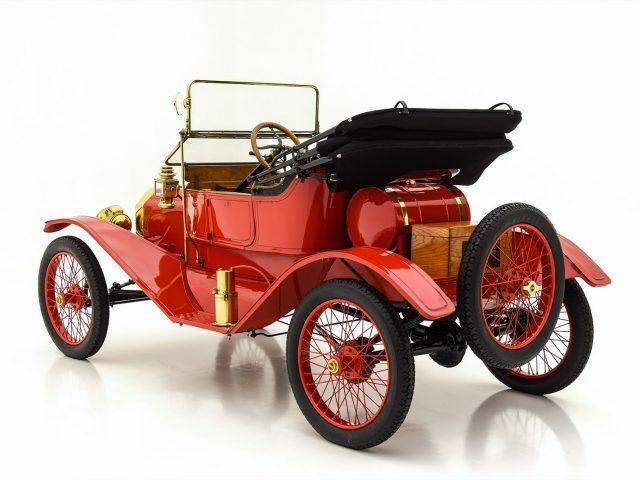 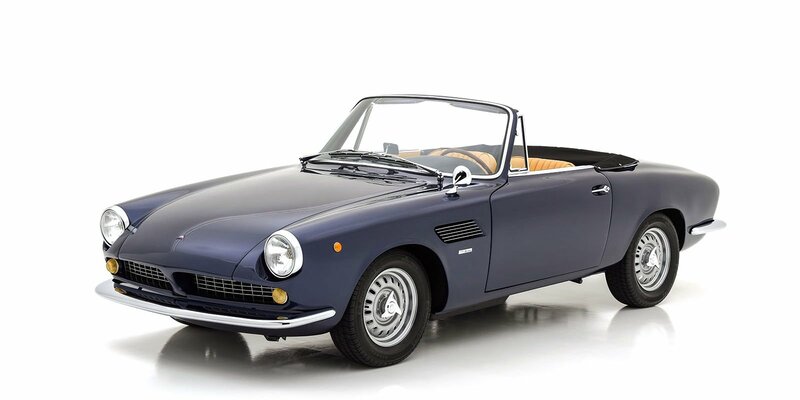 While outwardly similar, the new car had a revised engine, new fenders, and a reshaped grille. 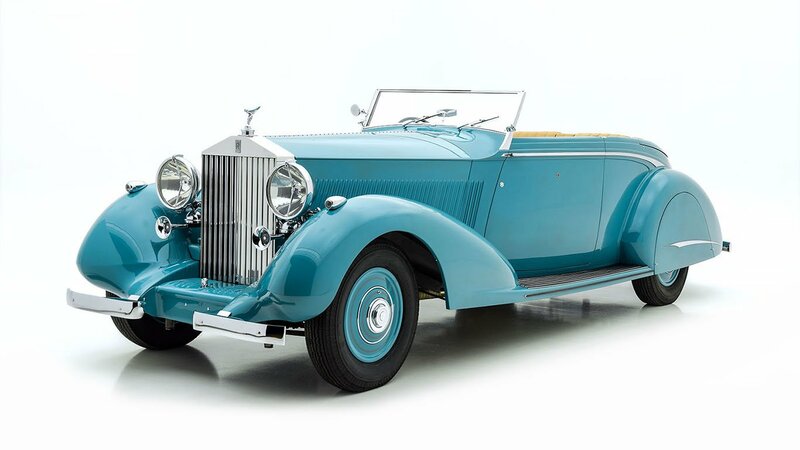 Refinement of the product line continued, with the coupe and landaulet phased out. 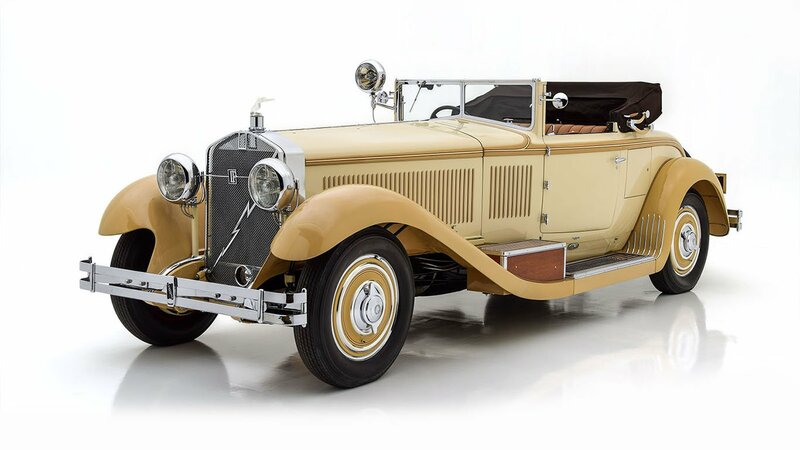 New additions to the catalog of nine bodies included the two-seat Torpedo Runabout and its sibling the standard Runabout Roadster. 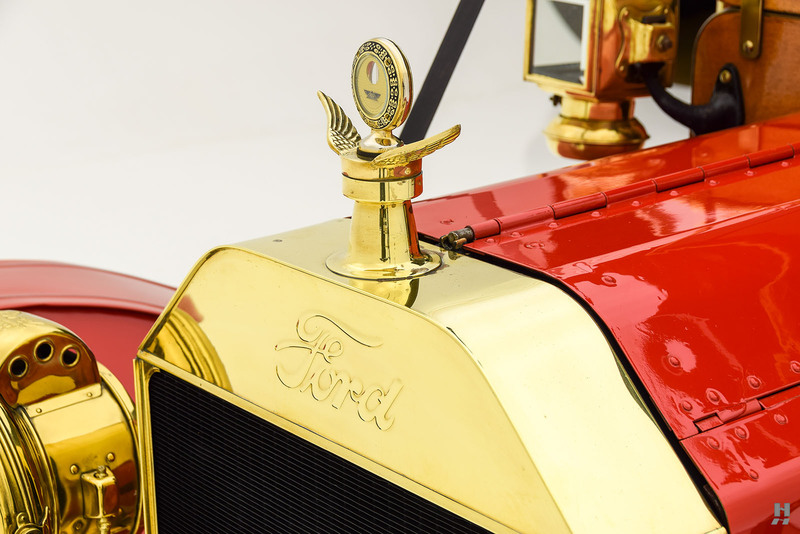 These unique models represented Ford’s first foray into producing a sporty Model T. These two cars stood apart significantly from the rest of the range, thanks to the lowered steering column, revised seating position, rounded fenders, and longer hood. 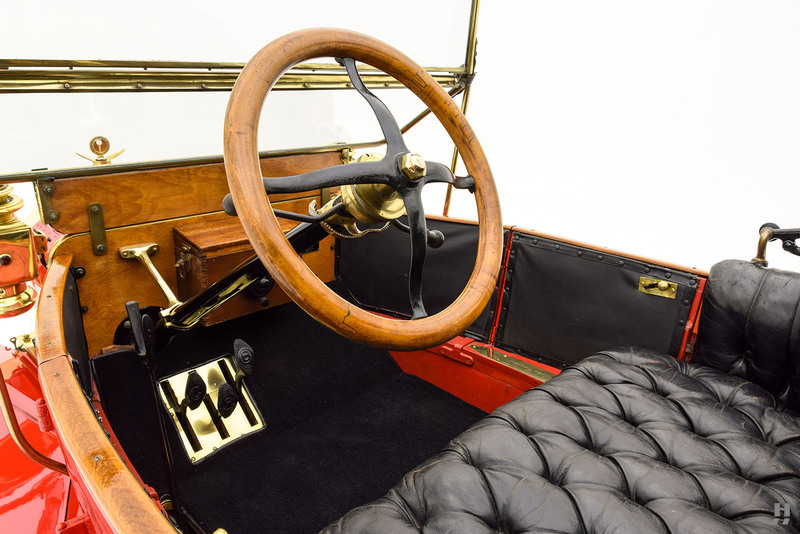 While the two are mechanically identical, the Torpedo as featured here, is distinguished by the addition of doors to the body. 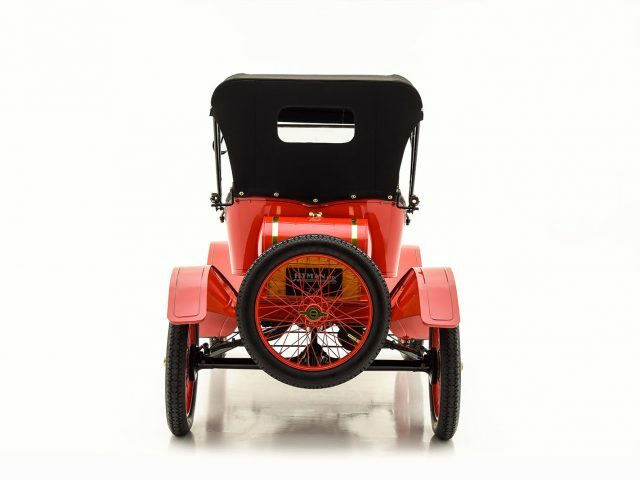 Finished in bright red with black interior and undercarriage, this T Torpedo Runabout is a charming example. 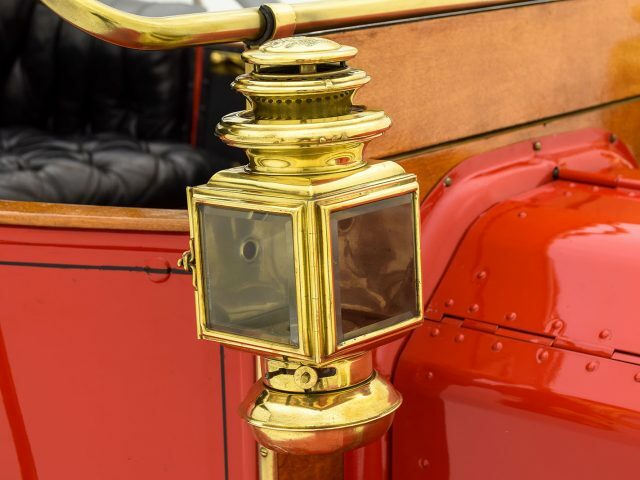 The paintwork is in good, honest condition, presenting with a pleasing luster to the paint and beautifully polished brass. 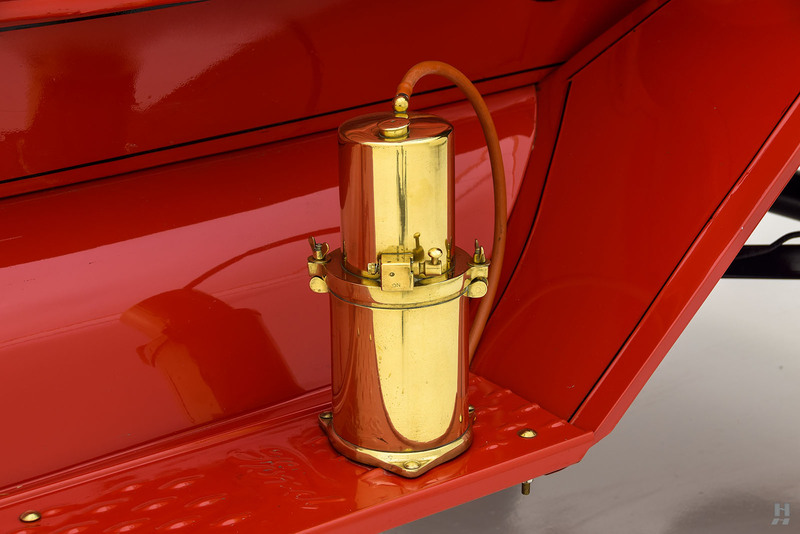 Some minor surface imperfections are visible on the body; however, the paint is shiny and quite attractive overall. 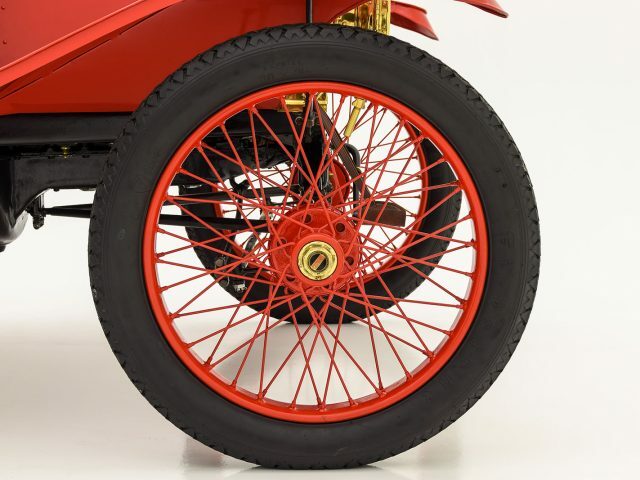 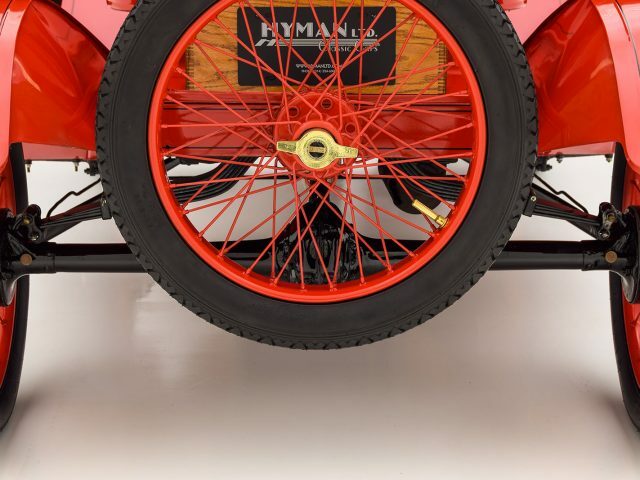 In keeping with the sporting character, this example wears Dayton wire wheels, finished in red to match the body and shod with black Firestone tires. 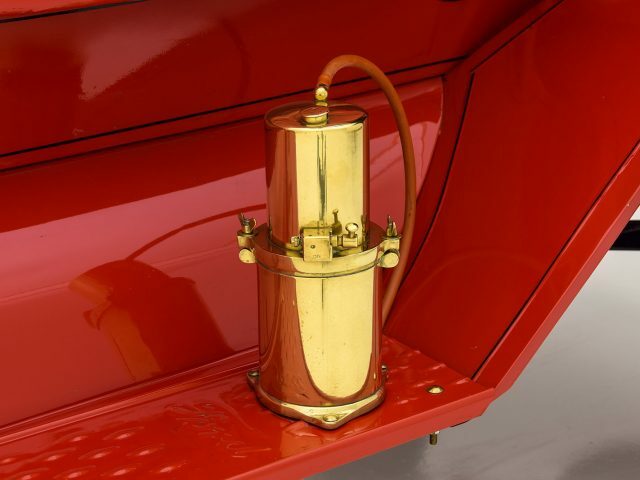 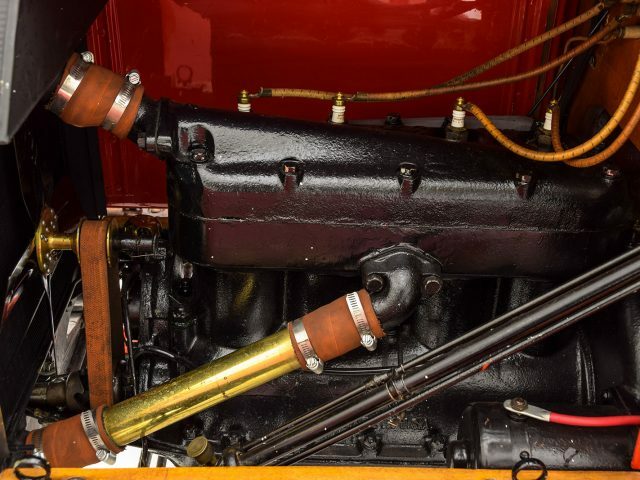 Numerous brass accessories highlight the body, including the radiator shell, JNO Brown Model 19 headlamps, carriage lamps, and acetylene tank. 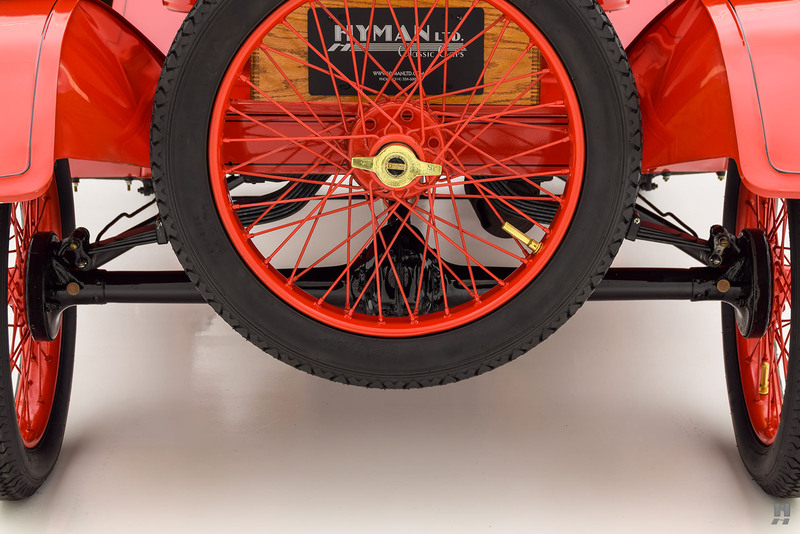 Behind the passenger compartment sits the round fuel tank and a rear-mounted spare wheel to round out the classic roadster look. 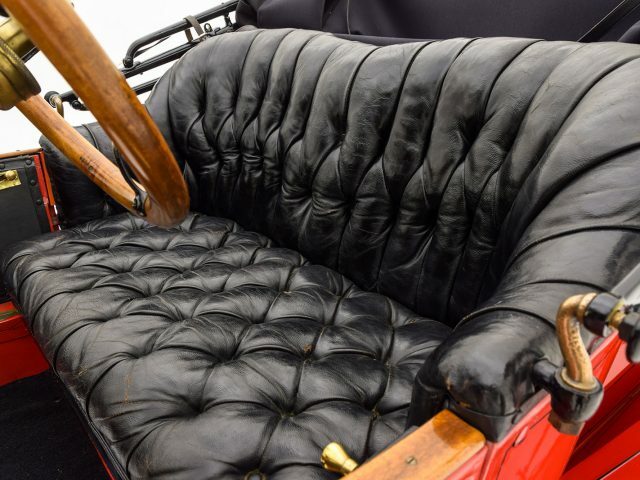 Black, button-tufted leather covers the two-passenger seat. 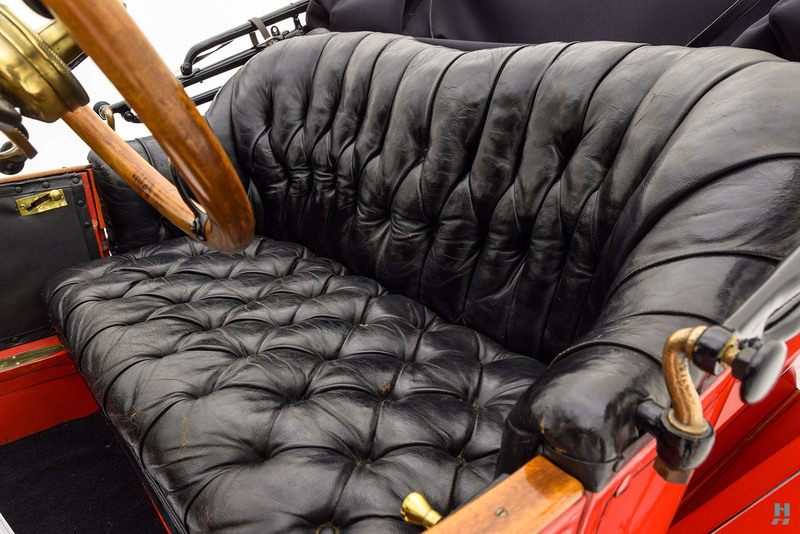 The leather is nicely broken-in, with some creasing and cracking in the surface that is consistent with the older restoration. 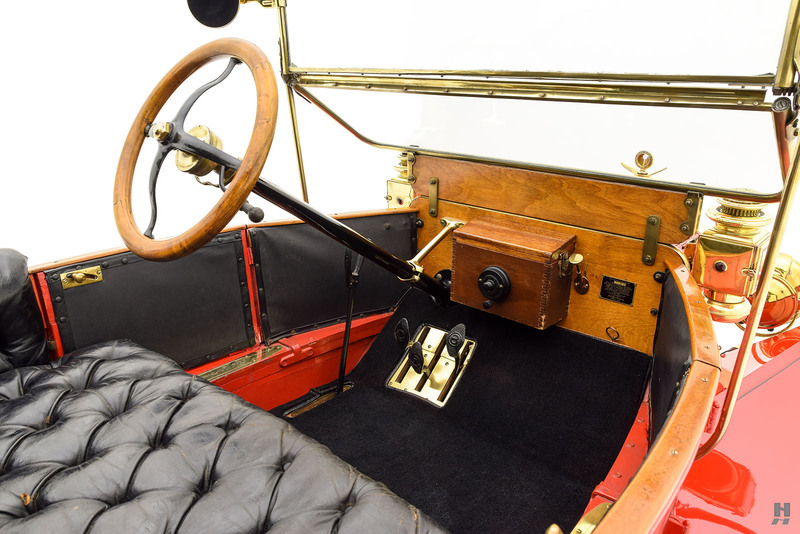 Nice quality carpet covers the floorboards, and the upholstered interior panels are in excellent condition. 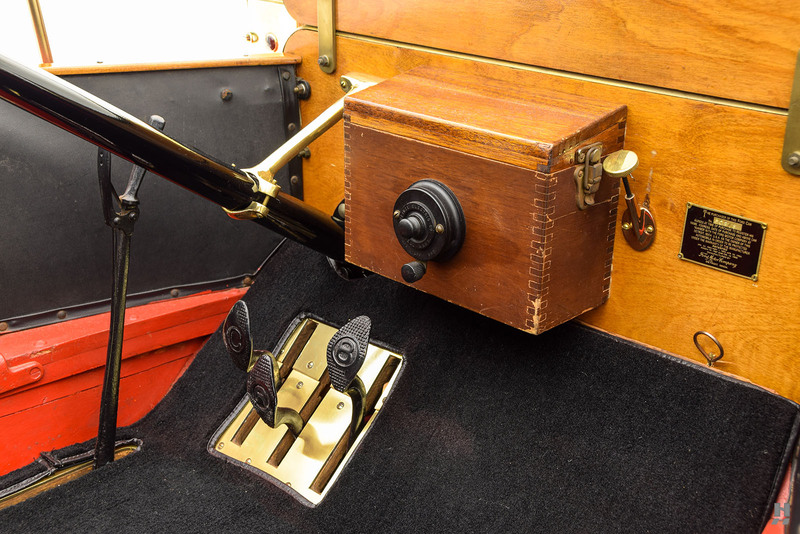 A black top keeps the weather at bay, held in place by leather straps, all in excellent order. 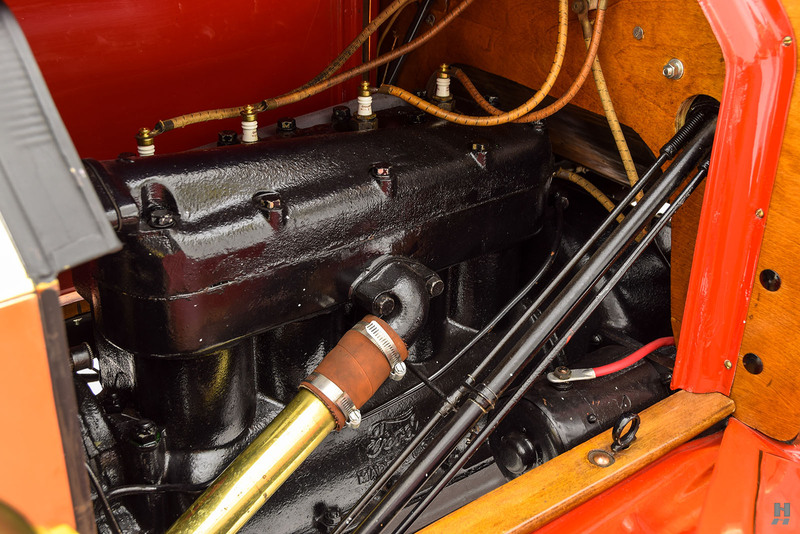 The 176.7 cubic-inch L-head inline-four presents in good order under the hood. 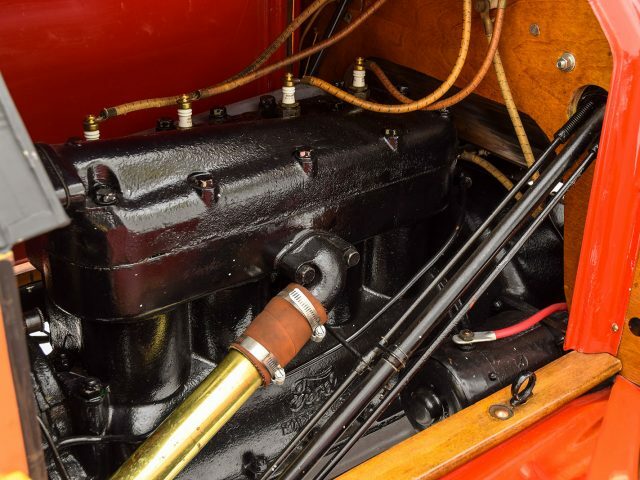 The engine, finished in simple black with appropriate fittings and hardware, is a model of purposeful simplicity. 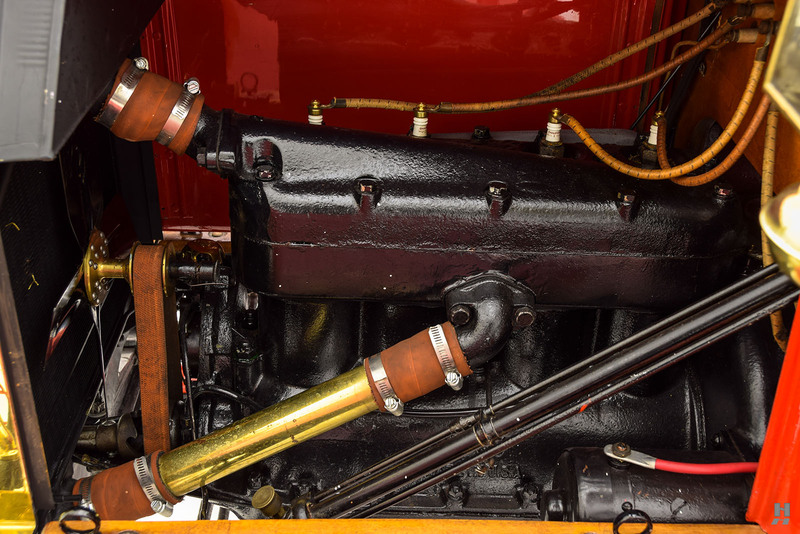 In spite of the older restoration, the engine and undercarriage present nicely with good quality paint finishes. 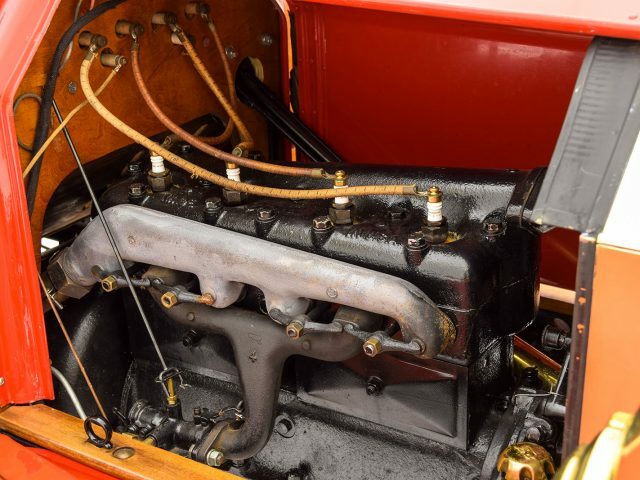 Thanks to the addition of an electric starter, the engine fires easily. 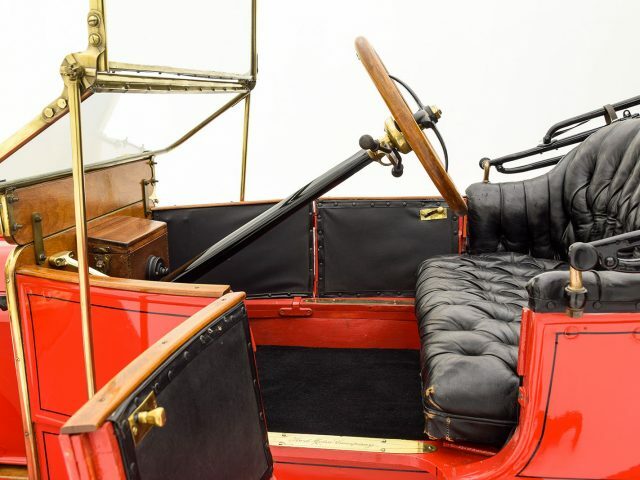 In the care of its most recent owner, it has had a period of disuse, but the inherent simplicity means it will need little to enjoy on the road. 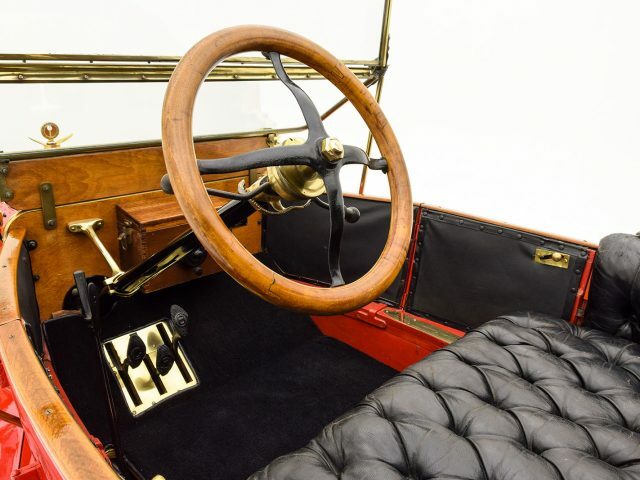 An honest, charming, and usable Brass Era Model T, this Torpedo Runabout is sure to delight its next keeper.